What is your best option during a medical emergency? What is the best emergency care facility to fit your needs? Look no further than Care Club USA to find all the information that you need! What is the difference between a freestanding ER, a hospital ER, and an urgent care clinic? A freestanding emergency room is a facility that is not attached to a hospital and provides 24-hour emergency care at the same level as a hospital emergency room. Both freestanding and hospital emergency rooms are equipped with the necessary equipment to treat patients who need immediate care. Urgent care clinics, in contrast, are for non-life threatening injuries or illnesses. Urgent care is the ideal choice for minor ailments. What types of illnesses and injuries do urgent care clinics and emergency rooms treat? Freestanding ERs, Hospital ERs, and urgent care clinics all treat minor injuries including lacerations, sprains, bruises, and minor illnesses. Unlike urgent care clinics, ERs (both freestanding and hospital ERs) are capable of treating more serious illnesses and injuries including: chest pain/heart attack, abdominal pain, respiratory distress, head injuries, broken bones, and severe blood loss. ERs also have CT scanners, x-rays, EKGs, ultrasounds, and cardiac onsite lab tests. Freestanding ERs can also transfer patients to a nearby hospital if needed. What are the benefits of freestanding emergency rooms? The benefits of going to a freestanding emergency room are streamlined billing, drastically reduced wait time, and access to ER-certified doctors 24/7. Freestanding ERs are typically located in more convenient areas than a hospital ER. 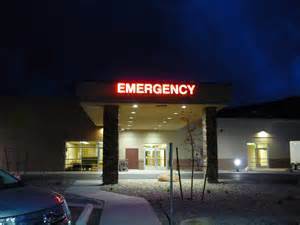 Freestanding emergency rooms also generally have a shorter wait time than a hospital ER. Both freestanding and hospital ERs are equipped with similar technology and the facilities are comparable. Freestanding ERs are convenient and time-saving in comparison to a hospital ER. Typically test results are obtained much faster at a freestanding ER than at a hospital emergency room. Find a freestanding emergency room near you. An emergency does not happen at a convenient time. Being prepared and finding the best option for emergency care is important. To help assist you in locating the most convenient and helpful facility, Care Club USA has an ER directory located on our website. To search our directory of freestanding emergency rooms in the state of Texas, visit: https://www.careclubusa.com/erdirectory.php.